But our latest research challenges this view. We found while moderate drinkers are healthier than relatively heavy drinkers or non-drinkers, they are also wealthier. When we control for the influence of wealth, then alcohol’s apparent health benefit is much reduced in women aged 50 years or older, and disappears completely in men of similar age. Limited research shows moderate drinking is linked to better health in older adults aged between 55 to 65. But this work failed to account for one of the main factors influencing both health and alcohol use: wealth. To address this question, we explored whether older moderate drinkers are healthier because of their drinking, or because their wealth affords them healthier lifestyles. We used data from 2,908 older New Zealanders (average age 65) in the government-funded Health, Work and Retirement Study at Massey University. This is New Zealand’s foremost longitudinal ageing study, spanning ten years, including a representative sample of the population aged 50 and over. We split the adults aged 50 or older into groups reflecting their average level of drinking, from non-drinkers through to those drinking three or more drinks a day. We also made sure to clearly differentiate “sick quitters” (those who stopped drinking due to poor health) from “lifetime abstainers” (those who have never drunk alcohol). We first compared the health of these groups and confirmed the trend in previous research: moderate drinkers of both sexes were much healthier than heavier drinkers or non-drinkers. This analysis relied on study participants rating their own health in terms of perceived levels of physical health and limitations in physical activity. But we also found moderate drinkers of both sexes to be wealthier than heavier drinkers or non-drinkers. And, when we took wealth out of the equation, moderate alcohol use was not linked with better health in men. In women, moderate alcohol use was still linked with a health benefit, but given the few women drinking moderately (4%) this effect was questionable. 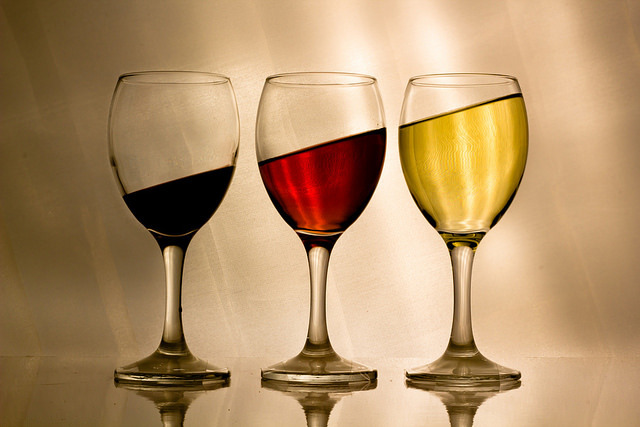 Our findings offer little support for a health-protective effect of moderate drinking. 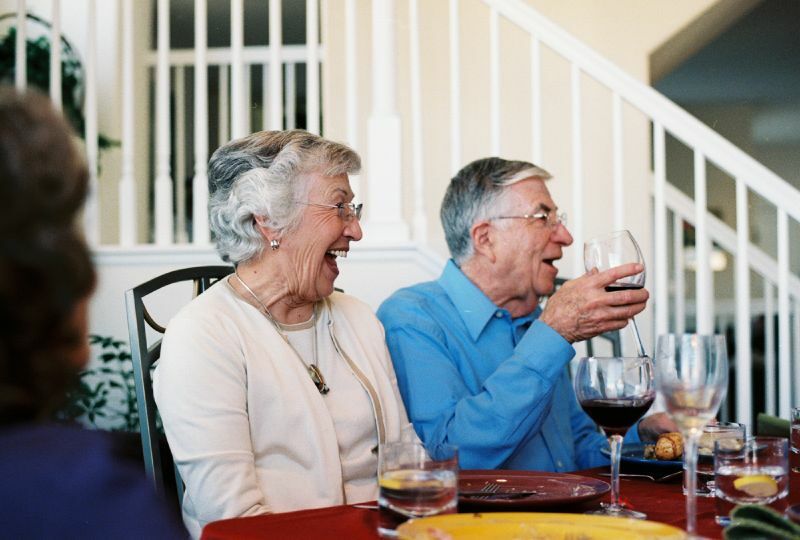 Instead, they suggest that older adults’ health and the amount they drink mainly reflect wealth and socioeconomic status. Perhaps the relationship between alcohol intake and health in older drinkers reflects who is drinking not how much they drink. Many studies also failed to account for differences between moderate drinkers and other groups on factors known to predict health; moderate drinkers tend to have better wealth, education, physical activity levels and diet. After controlling for such differences as we recently did, there is little evidence that moderate alcohol consumption has a health benefit compared with lifetime abstention or occasional drinking. Older adults are now a rapidly growing population for whom alcohol use can have serious ramifications and we must consider any claims of health benefits cautiously. Compared to younger adults, older adults are at greater risk of poor health outcomes from drinking alcohol. Older adults process alcohol less effectively, are more likely to have health conditions that alcohol can worsen and to use medications that alcohol interferes with. Yet, recent research indicates newly retiring baby boomers are drinking more alcohol, more often, than previous generations of retirees. And many older adults still assume moderate drinking is beneficial, some actively drinking for “medicinal purposes”. Older drinkers are one of the most at-risk populations from alcohol-related harm, yet they are also one of our least understood drinking groups. If drinking has no benefits for older adults’ health and they are at increased risk of alcohol-related harm, then how much is too much for older adults to drink? My international colleagues and I are trying to answer this question. I’d need to check back on how well the prior studies on which I’ve leaned have corrected for income, but if I remember correctly they mostly do it through cohort selection. So the Nurses Cohort Study follows a pile of nurses over decades. They all have the same education and would be of similar income, though family income could of course vary. The results from the Nurses Health Study were summarised by Mostofsky et al (American Journal of Public Health, 2016). I don’t know how well each of the underlying pieces controlled for income, but it’s a huge cohort of nurses; would be a bit surprising if income were a substantial confound here. If the contention is that abstention by the very poor worsens worsens measured health outcomes among the very poor because of a poverty confound, that seems unlikely to operate among a cohort of nurses, and especially when we’re talking about light to moderate drinking: it would be maybe an $8 per week expense tops to maintain light drinking of a glass of inexpensive wine every other night. Similarly, Rimm and Moats (2007) studied the effects of light to moderate drinking among a cohort of very healthy men. The purpose there was to show that sick quitters couldn’t be the issue and residual healthy behaviour confounding couldn’t be the issue: everyone in there had healthy behaviours at baseline. But for present purposes, consider the cohort they studied. It’s the Health Professionals Follow-up Study. The sample includes a pile of doctors. And the effects of light to moderate drinking in that sample also showed up. It would be remarkable if the income differences between osteopaths and dentists were really driving things there. Count me as pretty sceptical here. It’s an interesting paper. I think what is overlooked in this blog post, is the study is restricted to roughly 3000 mature or elderly NZers. The paper does point out that this limits how generalisable it is. The other interesting result from the model, is that the health effects of alcohol (for men) vanish across all categories once you include all the socio-economic variables. In other words, it’s not just the health benefits of light-to-moderate consumption that disappears, but also the health costs of heavy drinking. (Women are tricky because less than 5% of the sample consumed more than 1 drink a day, which messes up the statistical power of the testing). The paper doesn’t cite the Mostofsky 2016 paper fwiw.